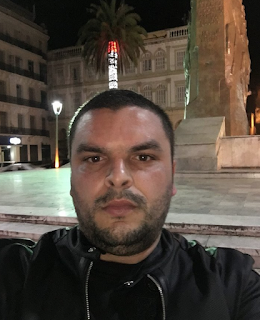 Amir Hamoui succeeds Roger Said as the President of the Jewishcommunityof Algeria. Said died in 2012. 'Hello, Ladies and Gentlemen, I am proud to be among you and I will be the pride of my family and friends, and for everyone to be under the leadership of Pope Francis and I will be his spokesman and on behalf of the Pope of the Catholic Church and the Vatican is a pleasure and pride for me and I am very happy to represent the Pope and Jesus in all the countries of the world that have diplomatic relations with the Vatican. I have to thank all the people who have contributed to my support from all sides, the clergy, politicians or even heads of state, artists and athletes. We thank them very much for all of us - the Lord Jesus with you in good and bad. And the love and peace that once gave us, thank the Lord Jesus More appreciation and respect from me. Yours sincerely. 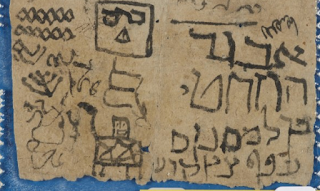 Among the highlights of the exhibit are the scratchings of a young student first learning the Hebrew alphabet, with doodles in the margin; an 11th-century prenuptial agreement requiring an unruly would-be groom to curtail his future behavior; letters and treatises written in Maimonides’ hand; and one of the earliest known examples of an engagement deed, from the 12th century, ensuring brides-to-be wouldn’t be locked into a dormant marriage if their husband disappeared while traveling overseas. 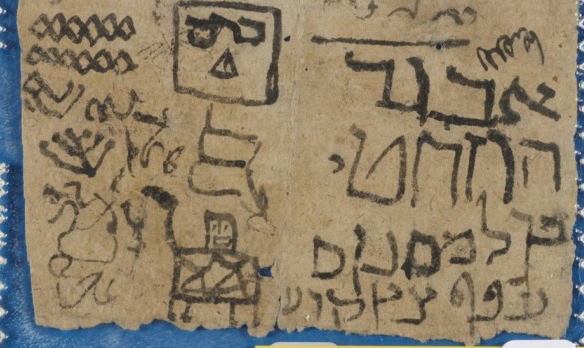 The oldest dated medieval Hebrew manuscript, from Iran at the beginning of the 10th century, part of the Discarded History: The Genizah of Medieval Cairo exhibit on display from April 27, 2017 (Cambridge University) The oldest dated medieval Hebrew manuscript, from Iran at the beginning of the 10th century, part of the Discarded History: The Genizah of Medieval Cairo exhibit on display from April 27, 2017 (Cambridge University) The aim of the exhibit was to show visitors the rich tapestry of Jewish life in the Middle Ages, when the vast majority of the world’s Jewish population lived under Islam, Ben Outhwaite, head of the Genizah Research Unit and co-curator of the exhibition, told The Times of Israel. He said it was a challenge to select items from the “colossal material” at the university’s disposal and present it in a compelling way to a general audience. “We didn’t want to paint either a picture of a happy interfaith utopia, where Jews lived happily under Islam and there were no problems; on the other hand we don’t want to paint the picture that is popular with some of the right wing press in this country, for instance, of dhimmi suffering under the oppression of the cruel Muslim government,” he said. Lucie Sarah Halimi, 66, was murdered on the night of April 3, thrown out of her window after having been beaten in her own apartment on the Rue de Vaucouleurs in the hip Parisian neighborhood of Belleville. While attacked, she had the time to cry for help, and to throw plates and dishes—either at her attacker in an attempt to defend herself, or on the floor to make noise and alert people nearby. March in sympathy with the murder victim, Sarah Halimi, killed when thrown out of the window of her apartment in Paris. Halimi was a religious woman who, albeit Sephardic, worked for the Orthodox synagogue of the Rue Pavée in the ancient Pletzel—the traditional Ashkenazi neighborhood of Paris. Her attacker was a 27-year-old African Muslim whose name has not been disclosed, and who lived with his mother, his stepfather, and his brother down the street from Halimi’s apartment. A drug addict and a drug dealer, he had an argument at home with his own family earlier, and in an emotional state, had first knocked at several doors before entering No. 30 and asking one of the residents there to shelter him for the night. When the man refused, he threatened him. He then reached the balcony’s apartment and, from there, climbed up to Halimi’s apartment, which was upstairs. Several people, including his own family, called the police. As Sarah Halimi was being beaten by her attacker, she began to shout for help and her neighbors gathered to intervene. They were stopped short by three policemen, who were either arriving on the scene or already present, and who refused to act until backup arrived. Powerless, like the neighbors, the policemen remained in the street and watched Sarah Halimi’s body fall to the pavement. The subsequent autopsy report assessed that she was still alive and probably conscious when she was propelled out the window of her apartment, and that she died from the impact of the fall rather than from the blows she’d received. At some point during the course of the incident, her killer was distinctly heard shouting “Allahu akbar,” a phrase he repeated several times. The police investigation is still unfolding, and Halimi’s killer has been placed under psychiatric care. From then on, things got blurry. 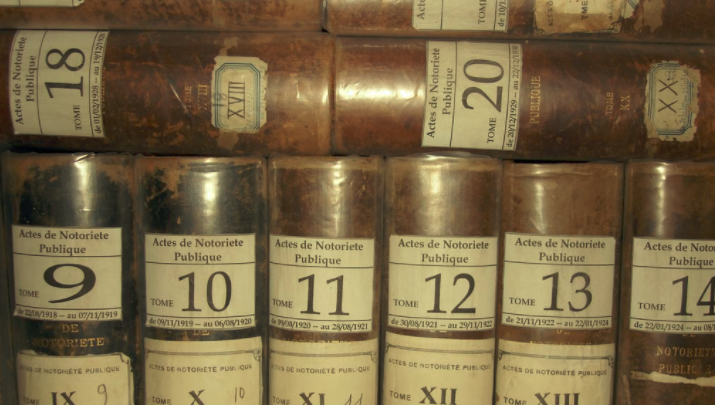 • While Jewish institutions were granted an audience by the state prosecutor (the French D.A.) and promised “all the truth” in the case, the Jewish press denounced an anti-Semitic crime perpetrated by an Islamist terrorist. Representative Meyer Habib wrote on his Facebook page: “Is [the alleged killer] a jihadist? Moved by the anti-Semitism that plagues a part of the Arab-Muslim population? I’m afraid so.” On Twitter accounts and Facebook pages, rumors spread that Sarah Halimi had been stabbed, that her murderer was an avowed terrorist, that he had justified his deed by the Quran and that he was chased by the RAID team (the elite police corps) when the crime had occurred. From Israel where he lives, Sarah Halimi’s son Jonathan denounced the anti-Semitic insults that Sarah Halimi’s children had been subjected to for years by the killer, one of the killer’s sisters and by his parents. • Meanwhile, the national press, TVs or radios remained totally silent on the case. It took a Jewish journalist by the name of Claude Askolovitch writing an op-ed for Slate’s French site to reflect and explain the mind-set of the French media: The killer was obviously deranged. He was now under psychiatric care rather than in jail. 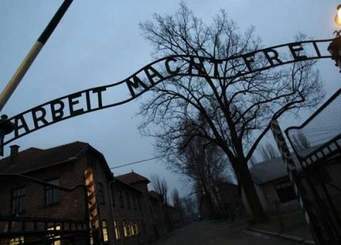 He had first tried to force his way into several apartments whose inhabitants were not Jewish. At the United States Holocaust Memorial Museum in Washington DC, there are just a handful of testimonies from Moroccans — so few, in fact, that the chief of the museum’s oral history archive wasn’t even aware they existed. In these interviews, Jewish Moroccans describe the hardships of war that both Jews and non-Jews endured: bombings, food shortages, and curfews. “There is nothing like a ‘Wow!’ [survival] story,” said case manager Jbeli, who has Moroccan clients. But the Conference on Jewish Material Claims Against Germany, also known as the Claims Conference, convinced the German government to compensate Moroccan Jews for one primary reason — because they were forced to live in the mellahs, or historic Jewish quarters. Under German law, forced residence is recognized as a type of persecution, explained Greg Schneider, the executive vice president of the Claims Conference. Moroccan Jews who were already living in the mellahs were not allowed to move out, and some who were living outside of the Jewish districts had to move into them, Schneider said. 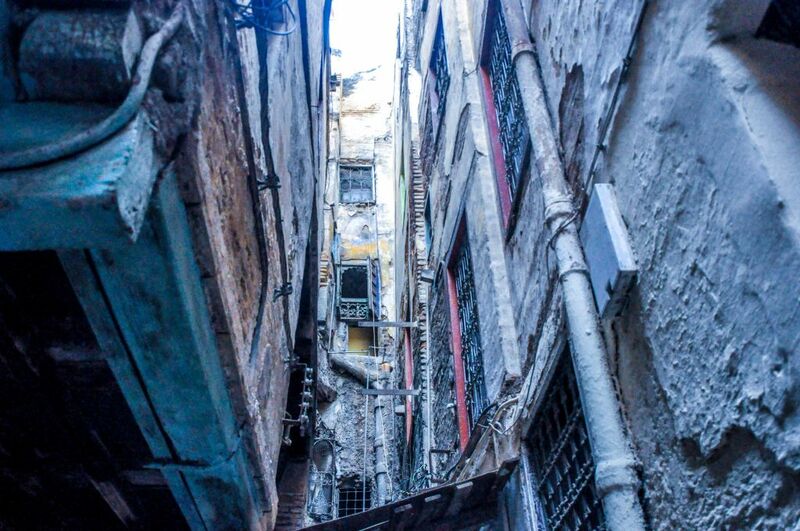 Edery, whose uncle and cousins were forced to leave their home and relocate into the mellah in Marrakesh during the war, suspects that the policy may have been put in place as the first step to extermination. However, a mellah wasn’t exactly like a Polish ghetto because the gates were not locked (this is debatable - ed), people were not prevented from going in and out, and because most Moroccan Jews lived in mellahs even before the war. In addition, Jews weren’t forced into the mellahs in all Moroccan cities. It is indisputable, however, that the conditions in the mellahs were terrible. Montreal radio commentator Charles Barchechath, who was born in 1943 in the mellah of Rabat, said that food was scarce and typhus and cholera were common. “The epidemics took the lives of a lot of Jews of Morocco. My father caught typhus, but luckily he recovered,” he said. Between 1940 and November of 1942 when the Americans landed in Morocco, Moroccan Jews also had to abide by discriminatory laws: Jewish children were expelled from schools, Jews were fired from government jobs, and there were quotas on how many Jews could attend universities or work as doctors, lawyers and pharmacists, said Robert Satloff, the executive director of the Washington Institute for Near East Policy, who wrote a book about the Holocaust in Arab countries. 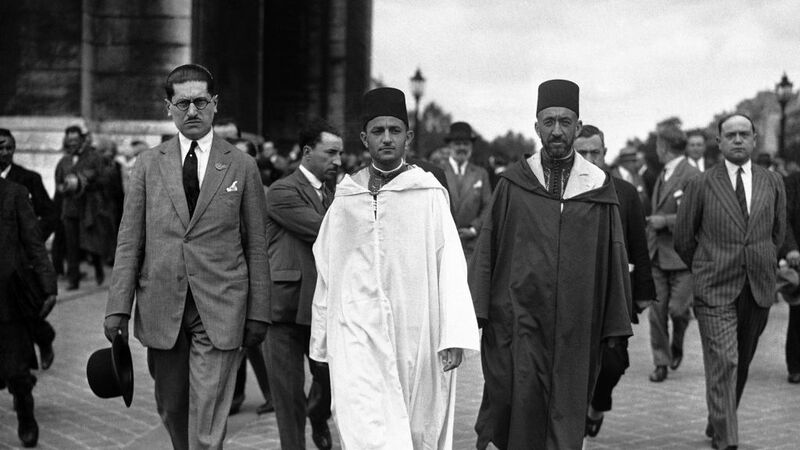 Vichy officials attempted at one point to make an inventory of property held by Jews, but Mohammed V met with the Jewish community and promised to slow down the census, Satloff said. 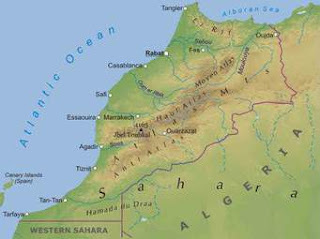 As a result, Jewish property in Morocco was not confiscated, unlike Jewish property in neighboring Algeria. Historians also say that had American troops not landed in North Africa in 1942, Moroccan Jewry — which numbered approximately 250,000 during WWII — may have also been sent to the death camps. According to documents that outline the Final Solution, Hitler had planned to exterminate 700,000 French Jews – a number that makes sense only if the Jews in French North Africa are included, Satloff said. Worldwide, more than 43,000 Moroccan Jews have received reparations since 2011, when Germany finally recognized them as Holocaust survivors, according to data from the Claims Conference. But in addition to the payments, the acknowledgement that the Jews of Morocco also suffered from fascist persecution is helping to preserve history. 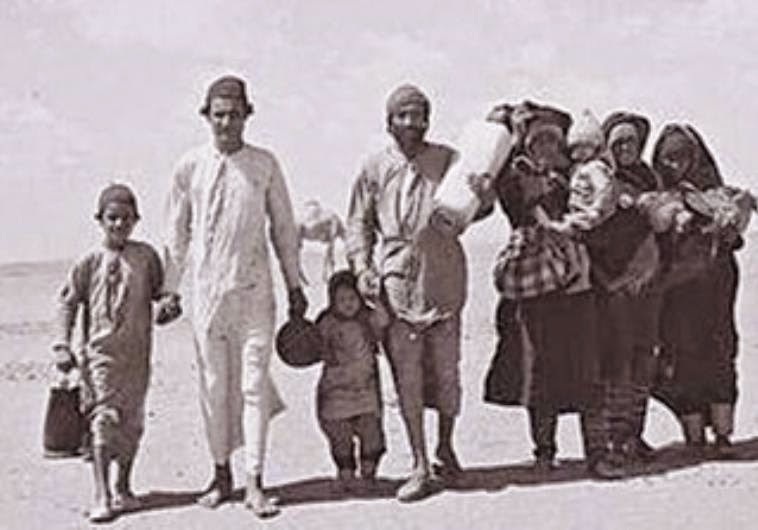 The applications filed by thousands of Moroccans for compensation have become the largest source of information on the experiences of Moroccan Jews during the war. The Arabs were among the first Holocaust deniers to adopt Eichmann's theory. As a result, the Arab states were united in their opposition to the Reparations Agreement between Israel and West Germany, which was signed only a few years after World War II had come to an end. During negotiations on this very agreement, the Arab states, and Egypt, Iraq, Syria and Jordan in particular, demanded West Germany transfer reparations not to Israel, but to the Palestinian refugees, who they claimed had been expelled by Israel. "The Jews are the ones who caused World War II. Transfer your funds to the Palestinian people," the Arab leaders wrote to then-German Chancellor Konrad Adenauer, the man responsible for negotiating the reparations agreement with Israel. In today's Arab world, they do not learn about the Holocaust, and for this reason a number of conspiracy theories exist on the subject. As a rule, the Arabs are of the opinion that the Jews can in no way be the victims, as the only true victims are the Palestinians who were expelled from their lands by the Zionists. According to another theory, the Europeans did not want the Jews and their destructive nature and negative influence on European society, and so they asked Adolf Hitler to annihilate them or send them to Palestine. Among the extremists, many believe the Holocaust was in fact punishment for the Jews' refusal to accept Islam in the time of the Prophet Mohammed. Senior Muslim leaders such as Yusuf al-Qaradawi, one of the greatest theologians aligned with the Muslim Brotherhood, justify the Holocaust as a "fitting punishment" that Allah inflicted on the Jews for their actions throughout history. As Qaradawi put it, "Throughout history, Allah punished the Jews for their corruption. The last punishment they received was Hitler's punishment, which succeeded in putting them in their place, although they went too far in what he did to them." Yet another theory in the Arab world holds that the Jews inflated the number of Holocaust victims to make the world feel remorse and so agree to the creation of a Jewish state in the land of Israel. Many Palestinians complain that they are the ones who paid and continue to pay the price for the Holocaust. There are two subjects I believe are insufficiently discussed in Israel: The first is Holocaust denial in the Arab world, and the second is the actions of then- Jerusalem Grand Mufti Haj Amin al-Husseini against the Jews. Those in academia and various research institutes do not give enough attention to these subjects, which are crying out for serious study. Scores of bound volumes, containing every detail of the births, marriages and deaths of Jews from Alexandria and Cairo, which date back to the middle of the 19th century, were once kept in the two main synagogues in each city. But, last year, without prior warning, government officials arrived at the synagogues and took away the registers, which are now stored in the Egyptian National Archives. Rabbi Andrew Baker of the AJC said: “For many Egyptian Jews these are the only formal records which might otherwise be inscribed in civil records. And there are cases where they are very important in proving a person’s Jewish identity, for burial or for marriage”. 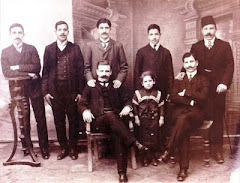 One of the leaders of the Nebi Daniel organisation, Yves Fedida, who is part of the forthcoming Cairo delegation, said that the scattered community of Egyptian Jews — some of whom depend on the information in the registers to prove their Jewish status — had been trying to persuade the government for more than 12 years to allow copies to be made of the contents of the registers. At first, the government resisted, saying that there was a chance that Jews outside Egypt would use the information for compensation claims. But this was dismissed by the Egyptian Jews as stonewalling, because the registers did not contain details of property ownership. “Then came the Arab Spring and there was no hope of persuading anyone in the government when the Muslim Brotherhood were in charge”, Mr Fedida said. Once President Abdel Fattah al-Sisi took power, however, there was new optimism, but so far there has been no response either to direct pleas or to a change.org petition to the president. 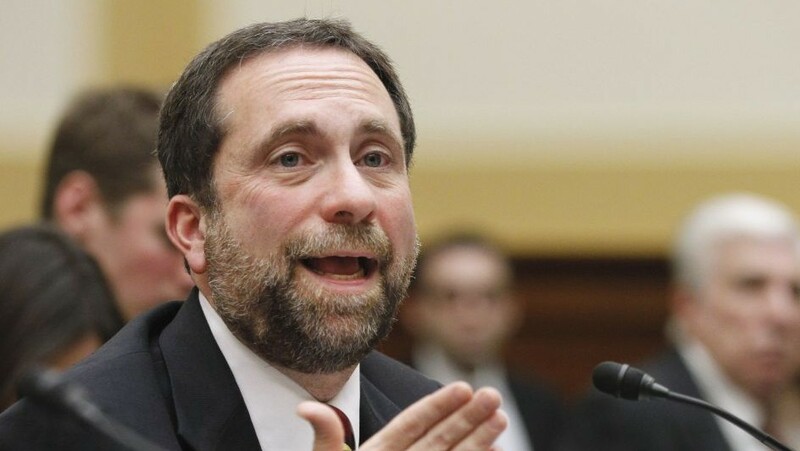 Rabbi Baker said that although “one problem has been solved by taking the registers into the National Archives, where they will be kept in better physical conditions”, in fact it meant another problem. “The registers are not just written in Arabic, but in French, Ladino, Hebrew, and even a form of Rashi’s script. 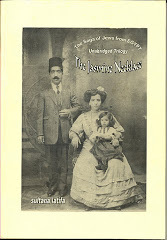 So the records cannot be easily read by a National Archives official even if someone applies for his or her family’s details.” Under the Egyptian Antiquities law, the registers belong to the country — an attitude originally supported by the leader of the tiny remaining Jewish community, a handful of Jews led by Magda Haroun. She made it clear in various TV appearances that her intention was to leave the assets of the Jewish community to the government. Ms Haroun initially agreed with the government’s position, but appears to have had a change of heart in the last year. 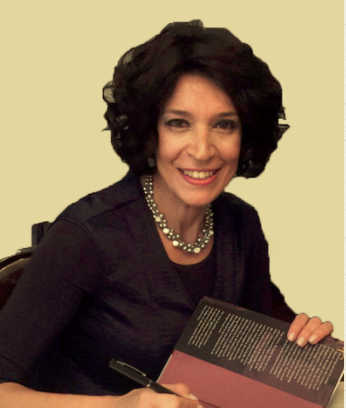 She has helped to revive a former Egyptian Jewish charity, A Drop of Milk, and turned it into a heritage NGO whose aim is to curate the remaining Jewish communal assets with the approval of the Ministry of Culture. Plans are in place to transform the former Heliopolis Synagogue in Cairo into a national Jewish museum, with the hope that the precious registers will be available for consultation there. Mr Fedida said: “We have lost our biggest treasure with the registers. 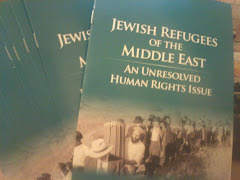 They include, beside the precious records of births, marriages, and deaths, halachic rulings by Egyptian rabbis , who were said to be among the most pragmatic and least dogmatic of all those in the Mediterranean area." I have to admit that we stumbled on Avivim purely by accident, when searching for a pitstop. This sleepy Israeli town nestles on a hilltop right on the Lebanese border. The tranquility is deceptive. During the 2006 war between Israel and Hezbollah, IDF soldiers caught up in the battle for another small town - Bint Jbeil just inside Lebanon - came across detailed plans in which Hezbollah had marked out every house in Avivim for attack. I asked the administrator of the town where was he born. 'Israel', he answered. But his parents came from the High Atlas in southern Morocco. I remarked that it was curious that a community of Jews from the High Atlas mountains should have ended up perched on top of one of the higher peaks inside Israel. " Maybe they thought we would acclimatise better," the administrator laughed. When the Zionists came to Morocco to take the Jews back to Israel, the community gathered up their meagre belongings - the High Atlas was one of the poorest and most primitive regions in the country - and followed them. Did they have any regrets? " There is nowhere like Israel," he said, simply. 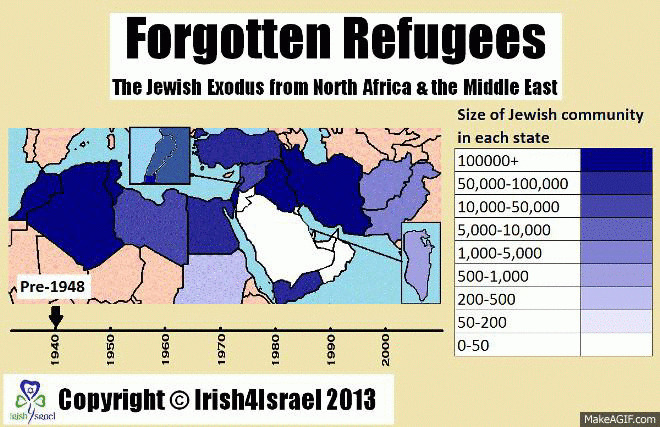 As a Zionist Mizrahi Jew, I long to be in an environment where the Mizrahi exodus into Israel matters. The church seder opened with a clip from The Mizrahi Project, where Joe, an Iraqi Jew tells his story of surviving the Farhud, Baghdad’s pogrom, and eventual expulsion. When a pastor goes to such lengths to develop and preserve the trajectory of Jews from Arab lands in the service of understanding Israel as a national liberation movement for all Jews, the personal becomes very political. If it wasn’t for Dumisani, I doubt I would have found myself at a church celebrating the first night of Pesach. Historically the Last Supper doesn’t hold good memories for me. As a stateless Jew at Stella Maris, Easter was the worst time. We studied the painful pictures of Jesus carrying his cross up Calvary. I became the ugly Jew who convinced the Romans to kill Jesus. And to make matters worse, I was the unremorseful Jew who refused to be baptized out of Judaism. I am no longer the murdering Jew in a Catholic missionary school, and no one here is trying to convert me or Israel. 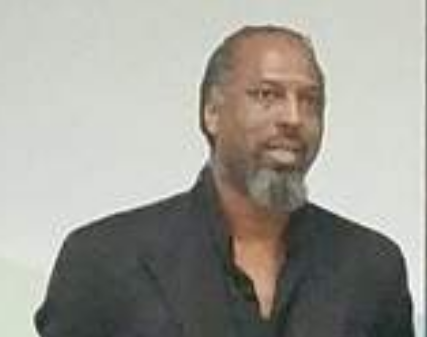 I am a Mizrahi activist and I love Pastor Dumisani Washington as should every Zionist Jew. His awareness and activism as a Zionist who understands the importance of teaching the Mizrahi experience needs to spread to the larger Jewish community. He is doing what I have longed for from my rabbis — to incorporate the modern-day Mizrahi exodus out of Arab lands into the Jewish/Israeli narrative. To correct the destructive anti-Zionist rant that Israel is a European settler enterprise. David Motadel, a historian based at Cambridge university, shows in Islam and Nazi Germany’s War that the Nazi flirtation with Islam, though belated, was certainly not lacking in vigour. For instance, the Grand Mufti of Jerusalem, Amin al-Husayni, was welcomed in Berlin in 1941, where he would spend most of the rest of the war, and an Islamic Institute was founded in the German capital in 1942 to mastermind the propaganda campaign. Beyond Berlin, Nazi efforts were most evident in those areas where the support of local Muslim populations was deemed beneficial to German interests — north Africa, the Balkans and the Soviet Union’s fractious southern fringe. There, German policy was almost munificent; restoring Islamic religious practice and Arabic script where they had been forbidden, and posing as the protector of Islam, all in an attempt to buy Muslim loyalty and attract recruits. Such initiatives were rewarded by the raising of one Albanian and two Bosnian Waffen-SS divisions, as well as an assortment of “Eastern Legions” comprising variously of Kalmyks, Turkmen, Tatars, Azeris and others. In total, as many as 300,000 soldiers from the Islamic world are thought to have served in German ranks during the war. Yet, in spite of these apparent successes, German wooing ultimately failed. Motadel explains that Nazi approaches were too heavy-handed, too blatantly opportunistic and too obviously disingenuous to elicit any more positive response. Moreover, the German inability to see beyond a single, unitary “Muslim world” prevented the development of a more nuanced, localised strategy. Consequently, the results were meagre. Those recruits that were raised were generally of poor quality, plagued by ill discipline and high rates of desertion. In addition, the expected jihad against the “imperial powers” failed to materialise. 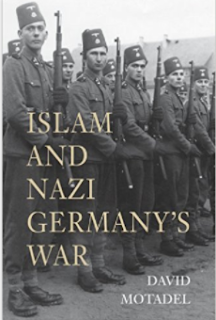 Islam and Nazi Germany’s War is the first book to provide an in-depth study of this complex relationship, charting its twists and turns as Hitler’s paladins sought to bring Muslims onside. It is academically impeccable, drawing on a wealth of archival resources in a multitude of languages, yet it wears its erudition lightly. In the current climate, a subject such as this might be considered controversial. Motadel, however, is never less than resolutely serious and rigorous. The whiff of sensationalism never offends the nostrils. An article on the barely-publicised defenestration of a Jewish woman in Paris by a Muslim charges that since the al-Durah affair, French opinion has denied to Jews the status of being victims. The writer, Pierre Lurcat, says that the "intellectual elite" is prevented by prejudice from seeing Jews as victims, just as the Jews expelled from Arab lands cannot be perceived as victims. Lucie Sarah Halimi, an Orthodox Jewish doctor aged 67, was hurled out of a window to her death by a Muslim neighbour, aged 27. Apparently, he had insulted and abused Lucie and her daughter Elisheva for years. The perpetrator has apparently got mental issues. The Causeur article observes that Muslim antisemitism is 'the new taboo of French political life'. It draws parallels between the Halimi case and the trial of the historian Georges Bensoussan for 'incitement to racial hatred'. Bensoussan had merely pointed out that Arab and Muslim antisemitism was endemic. Lurcat says that Halimi was killed twice: once by her neighbour and a second time by a media cover-up. 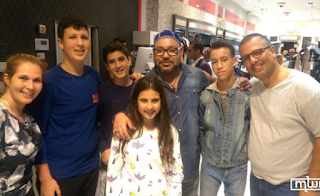 Rabat – “O God, this is our beloved King Mohammed VI,” shouted Eli Maman, a Moroccan Jewish immigrant in Toronto, as he spotted the Monarch and his son, Crown Prince Moulay Hassan, walking in South Beach in Miami, Florida. The king arrived in Miami coming from Cuba where he went with his little family on vacation. Maman, who came to Miami for the same reason, was also accompanied with his wife and children. “I was nervous when I approached him,” says Maman to MWN, as he related his unexpected encounter with the king. A little conversation took place. Eli Maman said to the king: “We all love you and we love our native country Morocco.” The Jewish Moroccan immigrant proudly presented his family and said to the king that one his sons, who studies at the Ahemet Sefardic School in Toronto, was doing a project on the king, the Alaouite Dynasty and Morocco. 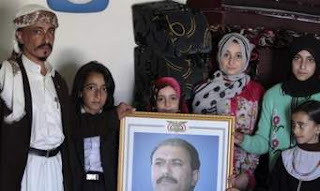 Yemen’s information minister said his government is unaware of the fate of the country’s few dozen remaining Jews, most of whom reside in the Houthi rebel group-controlled capital of Sana’a, Israel Radio reported. Speaking to an Israel Radio reporter on the sidelines of a conference on the civil war in Yemen in Paris, Moammer al-Iryani also said Saturday that the Houthis view the tiny remaining Jewish population as an enemy and are engaged in a campaign of ethnic cleansing that includes ridding Yemen of its Jewish community. Approximately 50 Jews are believed to remain in Yemen, 40 of them living in Sana’a in a compound adjacent to the American Embassy. Despite the ongoing civil war, they have refused to leave the country. Walk down Lilienblum St in Tel Aviv and at No 5 you will find a little known jewel. Housed on the upper floor is a synagogue, Below is a room full of objects, models, photos and books. Dani Goldsmith is the resident historian at the Museum of the Jewish community of Aden, at the tip of the Arabian peninsula. At its height, the bustling port city, a British colony until the 1960s, had a population of 8,000 Jews. There were other small communities of Jews living along the Red Sea coast: up to 400 Jews lived in Asmara, an Italian port city. All left for Italy. In spite of his Ashkenazi name, Dani is the descendant of the Menahem Moshe family. They were great philanthropists and seemed to have financed most of the community's institutions, notably the community's schools. 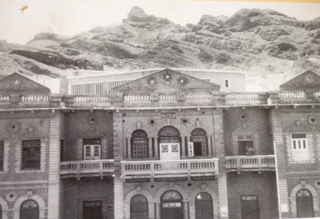 The Museum has produced a booklet illustrating the history of Jewish education in Aden. The boys' school was burnt down in the riots of 1947, property looted and 87 Jews killed. A mass exodus followed. Only a few hundred Jews remained. In the 1950s, Abraham Marks became the headmaster of the mixed school. In the aftermath of the Six Day War, the Jews were at risk from an angry mob and sought to flee. The Lancashire regiment evacuated by sea the 100 remaining Jews, divided between the old Crater quarter and the port. But the real hero of the rescue effort was Abraham Marks. Later, when Marks became the secretary of the Board of Deputies of British Jews, he told his story to Nigel Grizzard, a researcher. Nigel Grizzard will be giving a talk in London for Harif on the 50th Anniversary of the Six Day War entitled: 'How the British army saved the last Jews of Aden' on 5 June. Check Harif website (www.harif.org) for details. A new Jewish dating site has just been established - but it is a site with a difference. It aims to bring together young people of Iraqi-Jewish descent. 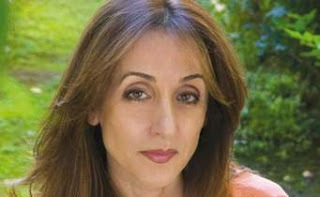 The site was started by Cynthia Shamash Kaplan and is called El-Delala. 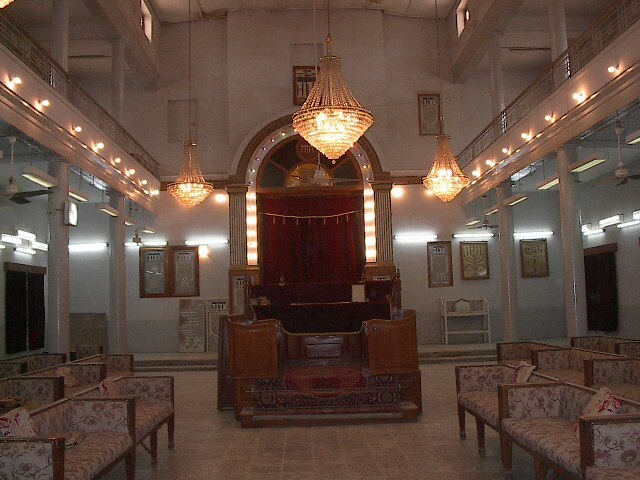 Traditionally Jewish marriages in Iraq were arranged by the Delala - the matchmaker. Couples trusted the Delala to find the perfect match. Sometimes the couple met for the first time at their engagement party. Baghdad-born Cynthia fled Iraq as a child and wrote about her displacement in 'The Strangers we became. She 'has five children herself and is married to an Ashkenazi American. So why did Cynthia start this project? "We started this site with hesitation. On the one hand, our Babylonian Jewish community, which is dispersed worldwide, wants very much to integrate. On the other hand, our customs are a part of us, even if we are geographically scattered. There is definitely a familiarity that is unique. This is exactly what we are trying to match. Whether you are a first-, second-, or third-generation Judeo-Iraqi descendant, we can help. Even if the connection is through just one side of your parents or grandparents, or even if you feel it through any of your family's history, we can help. How can we be so far apart, and yet have a sense of bringing people together to share the same customs and familiar traditions, if they so wish? That is why we formed this website, EL' DELALA. EL' DELALA (The Matchmaker) is the traditional and progressive way of bridging the distance in bringing two people together. " In the 1980s, at a dinner party at the home of a Muslim Iranian friend, an older woman sitting next to me panics when she realizes I’m Jewish. Quickly, she gathers her coat around her and hugs herself tight to create as much space between us as she can. Later, the host explains that the old woman still believes what she was taught as a child in Iran — that Jews are najis (ritually impure) and will contaminate anything they touch. In the 1990s, at a book talk in Portland, I’m confronted by an angry group of nearly 100 Muslim Iranian men and women who demand to know why I feel the need to write about the persecution of Jews in Iran under Shia Islam. The evening&when one woman — a dentist — asserts without irony that it is indeed true that Jews are najis. It also is true, she goes on to say, that Jews have little tails hidden by their clothes. Everyone hears her, but not a single person in the room steps in to correct her. These are not everyday occurrences. For every bigoted Muslim Iranian I know, I’ve also known a dozen civil, enlightened and cultured ones. Many of them, in fact, are more accepting of Jews than Jews are of them. They’re not everyday occurrences, and yet, when they happen, they all but take my breath away. In the 2000s, I’m in the studios of a Persian-language radio station in Los Angeles. As I wait for one program to end and my interview to begin, I hear an angry caller yell at the host that he should not refer to Iranian Jews as “Iranian.” “Those people are not and have never been Iranians. 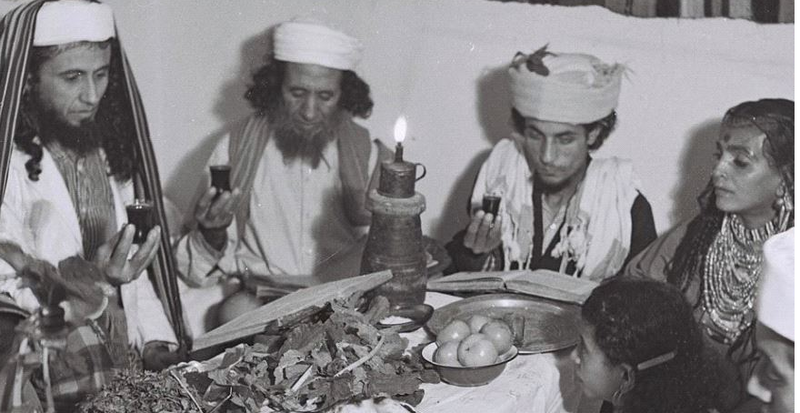 How does the Yemenite Seder differ from others? For example, there is no Seder plate, as the entire table is the Seder plate. 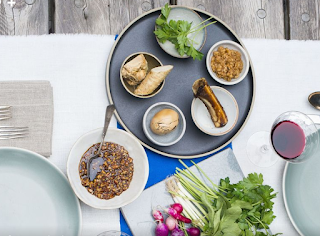 Green lettuce, scallions, celery and radishes are arranged beautifully on the table itself, in the order of the Seder plate, with small bowls of the meat, eggs and haroset placed between the greens. My in-laws always made the doukah together. They would sit on low stools and grind the ingredients in a gold-colored mortar and pestle that was similar to the one they had in Yemen. This was a ritual that was passed down to the children and grandchildren, including my own children. Why the grinding? Because the doukah is a rich blend of dates, raisins, almonds, pecans and sweet wine, seasoned with lots of cinnamon, cardamom and cloves. The consistency, as the children were told when they were little, was like the soft cement the Jews used when they were slaves in Egypt. No apples or walnuts were to be found. In contrast to the custom prevalent among Ashkenazi and Sephardi Jews, who recite a blessing over two and a half matzot, Yemenite Jews recite the blessing over one and a half matzot, on the Seder night and all the other nights of Passover. According to Zemach Keissar from Bar-Ilan University’s Department of Hebrew Language, Maimonides (Hilchot Hametz Umatza, 8-6) specifies: “He takes two sheets [of matza], places the halved one within the whole one and recites the blessing “Hamotzi lehem min ha’aretz” (Who brings forth bread from the earth). The matza has a soft, almost pitalike consistency and is made in an open clay oven called a tabun. In Yemen, the matza was made fresh every day in the tabun. There was no store-bought matza. There is a famous story of an emissary from Israel who visited the Yemenite community in the early 1800s and would not eat the matza because he thought it was too thick. However, the head of the community proved to him that this matza was the actual way that matza should be made. The order of the four questions is also slightly different. And in addition to the traditional four questions, one of the children recites “Ma cha bar,” a lengthy monologue in Arabic that summarizes in a very humorous and easy to understand way the Exodus from Egypt. The child holds an egg while saying this, and everyone at the table corrects the Arabic pronunciation in good spirit. The original reason for this was so that the women and children, who did not speak Hebrew in Yemen, would understand the story of the Exodus. After Ma cha bar, the leader of the Seder takes the afikoman, which is wrapped in a tallit, slings it over his shoulder and tells everyone that he is walking to Jerusalem. This is to remind the children of the way the Jews left Egypt. The leader leaves the house for a few minutes, and it is customary for the children to run after the leader and tell him to come back and continue the story of the Seder. The Yemenites eat this as a meal every day of Passover. My children ate this for years; but now that they are older, they have decided to add more variety to the Passover menu. 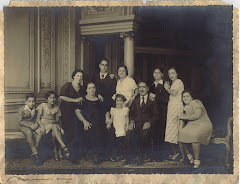 As Jews all over the world mark the Passover exodus from Egypt, check out the Mizrahi Project , an initiative of Christians United for Israel to record testimonies of the 850,000 Jewish refugees from Arab countries and Iran. 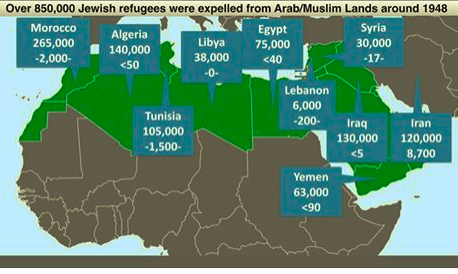 Map produced by CUFI showing the dwindling Jewish populations in Arab countries. Headed by CUFI's pastor Dumisani Washington, the project was launched in July 2016 in California. Iranian Jews and other Mizrahi Jews tell their own stories via online films about their exile and escape from Islamic lands in order to show the importance of Israel’s existence as a home to Jewish refugees from North Africa and the Middle East. .Joe Samuels has recorded his account of his life in Iraq and his memories of the 1941 Farhud. There are other videos of Jews from Egypt and Iran. The website invites readers to submit their stories. 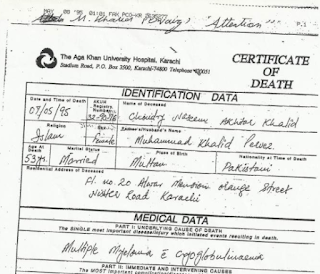 Mrs Benkhald's death certificate : According to her son Mohammed, she is a Muslim Punjabi, not an Iranian Jew. Tomorrow (Monday) begins the festival of Pesah (Passover) which commemorates the Biblical Exodus from Egypt. Among the symbolic foods eaten during the Seder meal is charoset, representing the bricks and mortar mixed by the Children of Israel to build their homes when they were slaves in Egypt. Many recipes use apples, but for FOOD 52 Amelia Saltsman recreates her Iraqi grandmother's date Charoset. Particularly useful are her tips for what to eat with leftover date Charoset. It wasn’t until I was working on The Seasonal Jewish Kitchen that I discovered that an entirely different and wondrous charoset tradition existed in my family. In one of our many food discussions, my paternal cousin Elan, who grew up three thousand miles away in Lancaster, PA, let drop that his family’s charoset didn’t come within a mile of an apple. His mother, my father’s sister, used our Iraqi grandmother Rachel’s recipe—date syrup (silan) and toasted chopped pecans. A “little bit of heaven” is how Elan describes it, and boy, is he right. Think of the earthy, spicy complexity of molasses and then add fruit, chocolate, honey, and coffee notes. It’s an extraction—dates soaked in water, then wrung through butter muslin—cooked down to a thick syrup. That’s how my Safta Rachel used to make it. Commercial silan is a late-twentieth century product that until recently was available only at Middle Eastern markets. It’s gaining favor and can be found at Whole Foods, health food stores, and the like. Be sure to check the ingredient list on the jar—ideally, there shouldn’t be anything besides dates and water. No surprise, the best ones are small-batch products, many from Israeli date-farm kibbutzim or Lebanese producers. This charoset is so good and so easy to make: equal amounts date syrup and nuts stirred together and thickened with the “dust” that remains after finely chopping nuts (another reason not to buy pre-chopped nuts). What you get is crunchy deliciousness with a viscosity somewhere between a schmear and a pour. And there are so many tasty ways to repurpose it after the Seder. It’s divine for breakfast the next day with Greek yogurt, bananas, and/or strawberries, or with a schmear of unhulled tahini on matzah, a sort of Middle Eastern PB&J. For dessert, use it as an accompaniment with a hunk of toasted sponge cake, and maybe a scoop of vanilla ice cream, and crumbled halvah… or forget the cake and have a sundae. Use the charoset as a filling in a chewy almond macaroon sandwich for a Passover-friendly, Iraqi-inspired macaron/alfajore. Stir in a little harissa, and Iraqi charoset becomes a hot-sweet-crunchy condiment for leftover chicken or brisket. Best keep a jar of the stuff handy on your kitchen counter, maybe even all year-round; you never know when you’re going to develop a craving. Safta Rachel’s charoset got me thinking. Dates, not apples, would have been plentiful in her native homeland. Dates have been an important regional crop for so long they were exalted in the Bible as one of the seven key food species (silan is thought by many to be the honey in the “land of milk and”). Iraq—Babylon in ancient times—was home to Jews since the destruction of the second temple in the sixth century B.C.E. (and was until the mid-twentieth century). Could my Safta Rachel’s charoset recipe, which she carried with her when the family emigrated to Palestine in the early 1930s, be thousands of years old? That’s some timeless classic. 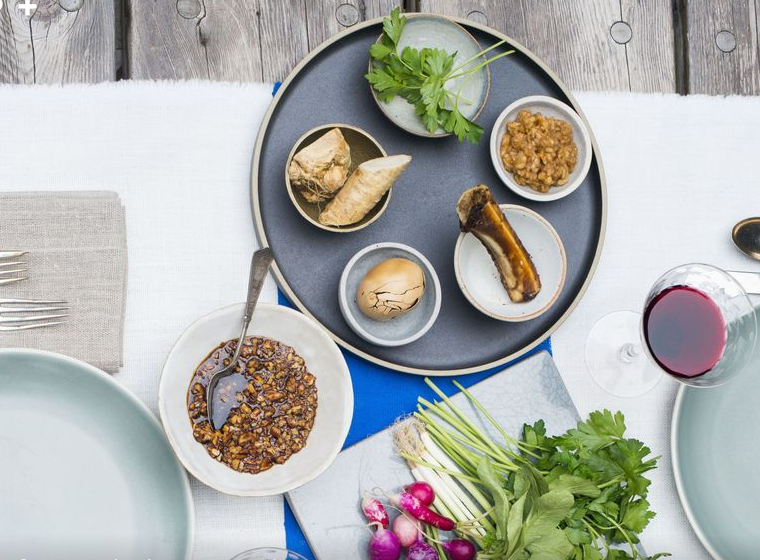 These days, two kinds of charoset grace our Seder table and tell the fuller story of our family’s journey. It feels like we’ve welcomed back a long-lost relative. WISHING ALL POINT OF NO RETURN READERS HAG PESAH KASHER VE'SAMEAH! New arrivals at a transit camp in northern Israel in 1949 demanded a synagogue and threatened a hunger strike over the absence of religious education. One of the things Sara Damri remembers to this day is the anger of Yemenite immigrants who were sent to a place in northern Israel that was devoid of synagogues, and being forced to wage a battle to keep their traditional Jewish sidecurls. Damri, who says she’s “about 75,” was 6 or 7 when in 1949 she arrived at the Kiryat Yosef transit camp (ma’abara in Hebrew), which today is the small northern town of Kiryat Shmona. She remembers that Yemenite boys had their sidecurls (“peyot” in Hebrew) forcibly cut off, and that some of the boys cried. Damri is among the few Yemenite immigrants from the period who remained in Kiryat Shmona. A large number moved to the center of the country – to the Sharon region – where they established a moshav (cooperative agricultural community). Others dispersed elsewhere across the country. 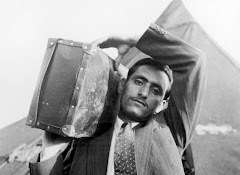 When it comes to the story of Yemenite immigrants to Israel, the dominant narrative is that they arrived in transit camps in a helpless state and were met by long-time residents who were insensitive to their plight and failed to understand or respect the traditions of Jewish immigrants from Arab countries. But a new study of the period, carried out by Dr. Amir Goldstein of the Tel-Hai Academic College near Kiryat Shmona, focuses on the immigrants at Kiryat Yosef and their rebellion at efforts to assimilate them into Israeli society as quickly as possible, along with their insistence on maintaining their traditions. Goldstein’s research is to be presented shortly at a Galilee studies conference at Tel-Hai. 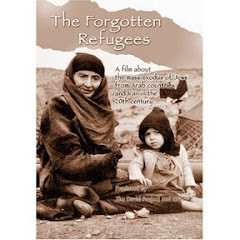 In July 1949, 14 Yemenite immigrant families came to what were the ruins of the Arab village of Al-Khalisa and were settled in abandoned Arab homes. Their arrival in the area followed long and difficult months of travel from Yemen and periods in immigrant camps. A month later, an additional group arrived from Yemen. Since no housing was available for them, tents were erected and a transit camp created. “We arrived at night in trucks. It was tough. It was raining and our tents ripped,” said Damri, recalling that her father complained that the tents were full of thorns. A year later, the site was renamed Kiryat Shmona. It became home to thousands of new immigrants from Iran, Iraq, Romania, India and elsewhere. 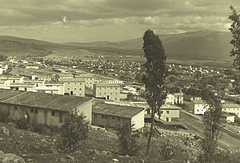 The town was surrounded by kibbutzim and other established communities, whose residents had been expected to extend their assistance to help the newcomers settle in. But problems soon surfaced. The authorities appointed Eliezer Karol of Kibbutz Kfar Giladi as manager of the transit camp. From his own diary entries, it appears he did in fact try to help the immigrants find work, grow crops and tend to livestock on the small plots of land they were given. But in keeping with Karol’s own values, he brought in youth counselors from nearby kibbutzim and apparently made no particular effort to set up a synagogue – and certainly not to establish a religious public school. In the summer of 1950, a committee of Yemenite immigrants dispatched a letter to Prime Minister David Ben-Gurion demanding Karol’s replacement. It was addressed to Ben-Gurion himself (“Honorable Sir, Prime Minister David Ben-Gurion”), and to his assistants and cabinet, expressing gratitude that through their help and that of the Almighty, they were able to immigrate to Israel. But then, paraphrasing religious sources, they described what they alleged was Karol’s apathy to their needs. The letter detailed food shortages and attempts to force a secular education upon their children. They demanded a religious kindergarten teacher and a Yemenite elementary school teacher. Goldstein says there are two dominant accepted narratives about how Israel absorbed the Yemenite immigrants (part of a wave of new immigrants arriving in Israel in the state’s early years). One was that they were received in the only way possible for the new country at that time. The other was that they were wronged and their traditions disrespected. But both are told without regard to what the immigrants themselves were saying at the time. Goldstein doesn’t ignore attempts to erase the immigrants’ Yemenite-Jewish heritage. But he also attaches importance to their own protests and the attention it attracted. In his ongoing research, Goldstein has followed their exchange of correspondence with authorities over a four-year period, reflecting the activism of the Yemenite newcomers in Kiryat Shmona, who refused to be assimilated into the Israeli melting pot. 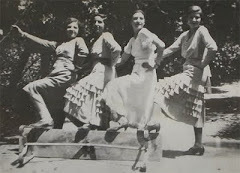 Despite the good intentions described by Karol in his diary, the Yemenite residents of Kiryat Shmona were unforgiving. In a letter to Shimon Aviezer, one of the heads of the Yemenite department in Mapai (the ruling party at the time and predecessor to the Labor Party), the immigrants delivered an ultimatum: If their needs were not met before the upcoming Jewish holidays, they would come to Aviezer’s office with their families and stage a hunger strike. “But if you arrange things for us without [forcing us] to take such steps, we will be forever grateful to you for the rest of our lives,” they wrote. According to Goldstein, the pressure worked. The matter was taken up by Mapai officials in Jerusalem and, nine days later, Karol stepped down from his job. Despite that, relations failed to improve. In January 1951, the immigrants again wrote to Ben-Gurion, complaining about attempts to send their children to secular schools. But it’s not clear if they received a response. The immigrants didn’t remain idle in their transit camps, either. They worked their small plots of land; some also worked in construction as well. They were part of the effort to develop Kiryat Shmona, but they continued to fight for what they believed in. Goldstein said this was a sign of their sense of belonging in Israel, and in their belief in their ability to influence things. But they were ultimately worn down. Goldstein cited a 1952 letter (now in the Ben-Gurion archives at Sde Boker) that the immigrants sent to then-Knesset Speaker Yosef Sprinzak, which was in sharp contrast to the early letters written in beautiful Hebrew and in a respectful tone. The letter to Sprinzak reflected a sense that they were victims of neglect and had been marginalized, as well as an indication that they felt isolated from the country’s other citizens. “Our bad luck caused us to be thrown into this lousy place without any arrangements, and were separated from all the other citizens of Israel,” they complained. They were particularly irate that a newly built synagogue was 2 kilometers (about 1.25 miles) from their neighborhood. But they also wrote about food shortages and a lack of jobs. Furthermore, they alleged that immigrants from Romania were receiving preferential treatment. But their harshest criticism was reserved for the treatment they received from a woman working at the nearby social welfare office (in Kfar Giladi), whom they accused of showing contempt for them and assisting only those she felt like helping, rather than those who needed it. They also claimed she was critical of immigrants with large families, saying that they should stop procreating. Perhaps the Yemenite immigrants did have a sense of belonging to Israeli society, Goldstein acknowledged, but not in Kiryat Shmona. In 1953, a group of about 80 families – most of the town’s Yemenite immigrants – left to establish Moshav Sha’ar Efraim in the Sharon region. The move was at their own initiative, in cooperation with the Histadrut labor federation’s agriculture center; others scattered to other moshavim. Kiryat Shmona is now home to just a few of the Yemenite families who arrived in the early years. The labor federation’s Davar newspaper published an editorial during that period in which it sought to make clear that the Histadrut’s agricultural department deserved credit for providing the plots of land, saying it had prepared the immigrants for life in their new moshav. 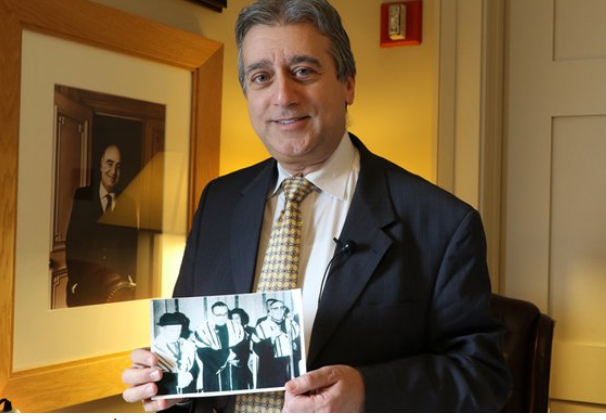 The fact the Yemenite immigrants were able to form a group and fight to maintain their traditions, and for the immigrant services they felt they deserved, is inspiring, Goldstein believes. But he said it was only fair to also “emphasize the role played by the society receiving the immigrants in this story. Even if mistakes were made, and even if sensitivity was not always shown to the immigrants’ culture, it appears that the work of Eliezer Karol and other volunteers in the Kiryat Shmona transit camp [and from the Mapai party and the Histadrut labor federation] also contributed to Kiryat Shmona Yemenites’ sense that they could speak out. They had someone to turn to and to present demands to. One clear example that is occurring within Morocco (where cultural preservation and advancing the well-being of people work congruently) is regarding the national project launched in 2012 to rehabilitate the Jewish cemeteries. There are approximately 600 Hebrew “saints” that are buried in all parts of the kingdom. Many have laid in rest a millennium or more, and 167 of the sites have been part of the national preservation effort. Importantly, the Jewish community (starting in Marrakech) also began in 2012 to lend land to the High Atlas Foundation, a U.S.-Moroccan nonprofit organization, nearby seven of the sacred burials in order to plant organic fruit tree nurseries for the benefit of farming families and schools. Initial local efforts to preserve the Jewish cemeteries and lend land for community tree nurseries began in the 1990s, and has since been building to scale. Given that most poverty in the nation (and in the world) exists in rural places, and that Moroccan farmers are transitioning from traditionally growing barley and corn, the demand for more profitable fruit trees is therefore very significant. Growing fruit trees from seedlings on land lent by the Moroccan Jewry (lent or abandoned? one wonders - ed ) and distributing them in-kind to marginalized rural communities not only meets a development priority, but is also an act of interfaith. The reinvigorated relationships between the Muslim farming families and Jewish community members leads to deepened appreciation among the beneficiaries of these historic religious places (even as the burial sites have been respected ever since their beginning). This multicultural initiative lends towards more goodwill due to the sustainable development results, and in turn increased social unity and actions of preservation. What maximizes the measure of solidarity (and sustainability), however, is that the farming communities themselves identified fruit trees and their varieties as a development priority. Therefore, the project responds to the expressed needs of the people and helps to deliver the outcomes they seek, illustrating how cultural benefits can be maximized when participatory human development is fully incorporated into their processes. 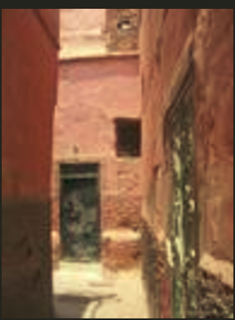 Now, let’s consider the rehabilitation of the mellah, the Jewish quarter which historians suggest first appeared in Marrakech during the second half of the 16th century. The Jewish experience in Morocco, and certainly in Marrakech, with all of its cycles and periods, can be characterized as quite remarkable in its longevity and quality. There are impressive scholars who have dedicated themselves to understanding specifically and thematically what has transpired in Marrakech in regards to Jewish life, thought, cultural evolution, practice, trials, and major stretches of peaceful pluralism. I personally have not given this level of consideration to the social developments that constitute the Jewish-Marrakech narrative. However, one can fairly state that Jewish life in Marrakech has been incredibly rich, complex, nonlinear, hopeful, painful, continuous, and ongoing to this very moment. Therefore, the initiative to preserve this living and evolving social artifact is exceptionally worthy, and an action fully consistent with the Moroccan national identity and Constitution. I have often come up against this question of, why Morocco? 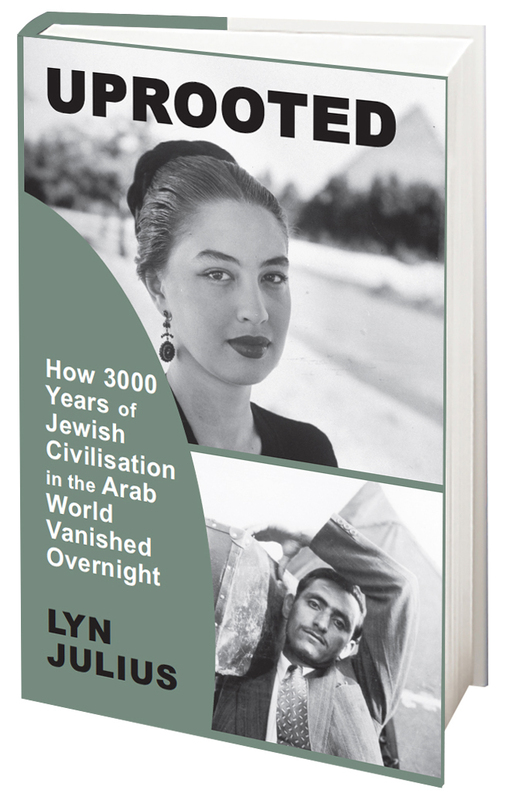 Jewry had lived for millennia in Near Eastern nations, but no longer do; yet in Morocco they remain to this day, and are invited to return if they had left. When vandalism, violence, and rejection seems to characterize the Jewish experience to varying degrees at different times in many nations of the world, one might ask why this has not been the case in Morocco (a questionable assertion - ed) This question on one level may be as difficult to answer as is the question of why the Jewish people continue to exist as a cohesive group in the world at all. Why Morocco is an ongoing home (only just - it has lost 99 percent of its Jews - ed) when other nations have ceased to be, could invite an esoteric explanation, or one simply accepting that observers have yet to fully explain Moroccan-Jewish exceptionalism. In the debate over the elitism of the Israel Prize – which was demonstrated again recently by the unfortunate candidacy of artist Yair Garbuz – Culture and Sports Minister Miri Regev claimed that the exclusion of Mizrahim (Jews of Middle Eastern or North African origin) and Arabs is the inevitable result of a situation in which the cultural elite is comprised mainly of Ashkenazim. At the same time, author Meir Shalev denied that the Ashkenazim were an elite, saying they forfeited their hegemony a long time ago to the Mizrahim, who have become the new elite. Indeed, since the 1970s, mainstream Hebrew literature has been careful to produce allegories that reflect the decline of the old Ashkenazi elite and its replacement by a new elite comprising all those who were previously excluded. In other words, Mizrahim, Arabs and the ultra-Orthodox (or Haredim). Examples include A. B. Yehoshua’s “The Lover” (1977) and Amos Oz’s “Black Box” (1986). Shalev’s own “The Blue Mountain (1988) also deals with the death of the old elite. A question arises as to what extent these elegiac literary depictions of contemporary Israeli life correspond to reality. How reliable are they, and not just the result of a false panic that has taken grip of the elites – as Regev claimed following the removal of Avi Shoshan, an expert in Mizrahi music, from Army Radio’s playlist committee. Objectively, it seems there is nothing in the Israeli reality which proves the Ashkenazi elite has lost its hegemonic status. Absurdly, its undisputed control of Israeli art reflects this. Art has always been an expression of power. The wonderful statues of the Roman emperors and senators were nothing more than propaganda posters, carved out of marble for the greatness of the empire. The Church used art to raise the standing of Christianity. In ancient Christian mosaics, Jesus is shown as the model of a Roman ruler, not as the son of a carpenter from Nazareth. And the two largest ideological movements of the 20th century, fascism and communism, also used art as propaganda. 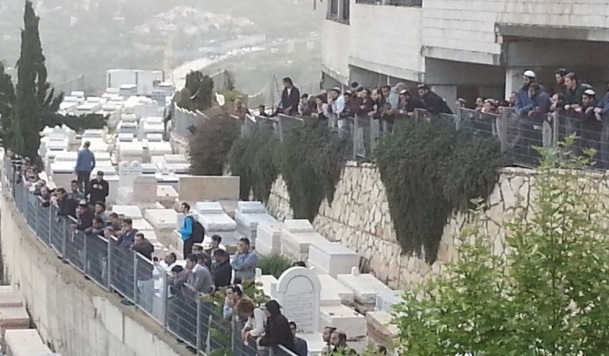 But events of recent weeks show this is far from the case in Israel. So why do the Ashkenazi elite seem so panicked and paranoid about the supposed loss of their hegemony? It is possible they have good reason for their insecurity about the stability of their control. Unfortunately, though, this is not related to the improved status of the Mizrahim or Haredim, but to what previously happened to these elites in Europe. These Israeli elites are just the heirs of the Ashkenazi Jewish elites of Eastern Europe. In other words, until just three generations ago, they themselves were the “other” of Europe, and suffered from exclusion, discrimination, prejudice and an anti-Semitic discourse that portrayed them as non-European. It seems the Ashkenazi Israeli elites inherited from their forefathers an inferiority complex with regard to their original Jewish culture – an inferiority rooted in the ethno-cultural suppression of Ashkenazi Jewry by the Christian European discourse. Beginning in the late 19th century, a modern Jewish identity was formed in Europe. This process was accompanied by a racial-ethnic distinction made by European Christians, which attributed inherent cultural and racial inferiority to the Jews. This included the belief that the Jews, by their very nature, had something that caused them to lack any aesthetic sensitivity. The Jews were characterized as shameless imitators with an “oriental” imagination, drawn to superficial beauty. Therefore, as a result of this history, the Israeli Ashkenazi elites have a very fragile recognition of their own worth in general, and are especially vulnerable in the areas of culture and art. Stand by for a new film about the Jews of Lebanon. Rola Khayyat's 'From Brooklyn to Beirut', here described by Nadine Mazloum in Stepfeed, tells how discovering a Syrian/Lebanese community in New York inspired her to make a film about the Jews of Lebanon. It seems that Rola is following in the footsteps of Nadia Abdelsamad, who made a BBC documentary about the Jews of Wadi Jamil, the Beirut Jewish quarter. We really don't know much about Lebanon's Jewish community. For many, "Lebanese Jewish" is too remote a concept. But, the truth is, Jews in Lebanon once lived side by side with the country's Christian and Muslim populations. They even share a minorities' seat in parliament. Beirut's Wadi Abu Jmil, Saida, Hasbaya and Tripoli were places they once called home, and Christmas and Eid were occasions to celebrate with neighbors. 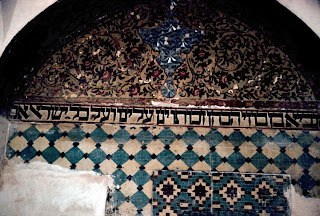 They even had several Synagogues where they would hold prayers every Saturday, one of which is in the Wadi Abu Jmil area – later known as Beirut's Jewish quarter. Their stories have disappeared from our collective consciousness, but with the effort of Rola Khayyat – a Columbia University graduate and visual artist based in New York – we may learn more about this community. Her first documentary, "From Brooklyn to Beirut," sheds light on the Lebanese Jewish diaspora of Brooklyn. It features interviews with members of the Lebanese Jewish community who returned to Beirut as part of a journey to rediscover a place they once called home. StepFeed spoke with Khayyat to learn more about the film, the community and her interviewees: Rabbi Elie Abadie and Raymond Sasson. Fischel (pictured) — his chosen Yiddish name — was born Faisal Benkhald in the Pakistani city of Karachi to a Jewish mother and Muslim father. The fourth of five children, he recited blessings over Shabbat candles, helped his mother bake challah bread every Friday and watched her prepare kosher dishes. Unlike his siblings, Benkhald felt a strong pull to his Jewish ancestry. Raised by his strictly Muslim uncle after the death of his parents, Benkhald, 29, began campaigning to to change his religious status on his identity card - an official requirement - from Muslim to Jew in 2014. His application to the National Database and Registration Authority (NADRA) was denied in November 2015. Fishel’s case was aired in the Jewish press and a House of Lords inquiry by the All Parliamentary Party Group for International Religious Freedom heard a submission by my organisation, Harif, into the plight of Pakistan’s Jews. At its peak, the community numbered up to 3,000 Jews, but almost all have fled to Israel, Britain or Canada. There is still a Christian community, but it has suffered violence and persecution. 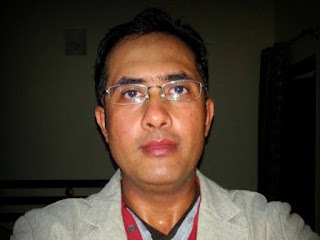 On the flimsiest of pretexts, Christians can fall foul of Pakistan’s draconian blasphemy laws, leading to their arrest, imprisonment and even the death penalty. The country’s constitution is based on Islam. Fischel had asked Chowdhry to take on his case with the Pakistani government. ‘Our initial inquiry led to very little progress: they simply chose not to respond,’ says Chowdhry. But the First Minister at the Pakistan High Commission in the UK began to make overtures to Chowdhry’s group with a view to improving the situation for minorities in Pakistan. Chowdhry told him about Fischel’s case. The minister was very moved. 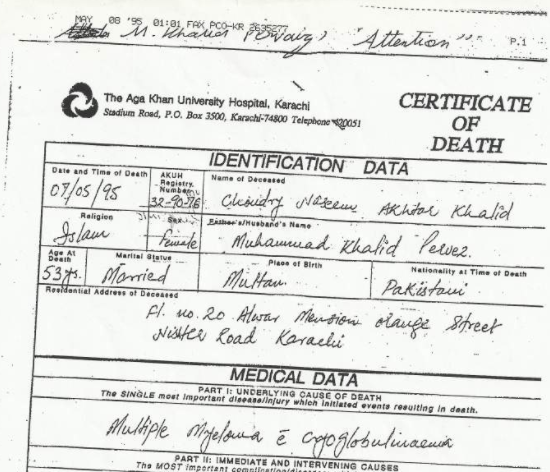 A previous test case involving a Christian MP representing minorities in Pakistan and harassed by political opponents, who claimed he was an apostate from Islam, failed to change the identity registration process. In the UK Chowdhry’s group had been called to help give evidence that no Sikh, required to carry a holy knife or Kirpaan, had ever used the weapon inappropriately. It was imperative to prove that Fischel had not converted to Judaism from Islam. According to Jewish law, he is considered a Jew by birth, since the religion is passed through the maternal line. Chowdhry is confident that Fischel’s case ‘ would convince other Jews to come out of hiding and begin to unite behind a project to build a new synagogue.’ The 2011 census had 900 Pakistanis registered as Jews. However, that figure would seem wildly optimistic in view of the fact that the community ceased to exist in the 1970s and the last synagogue in Karachi was razed to the ground. Already Fischel is planning to challenge the government to name the Karachi cemetery, the last remaining Jewish graveyard in Pakistan, as a heritage site. The British Pakistani Christian Association has offered to help him and is also willing to act as a conduit for donations. ‘A Jewish Heritage site in Pakistan would be a great legacy and would remind Pakistan of their once more tolerant society,’ says Wilson Chowdhry. Fischel is yet to receive his identity card, but his message for Passover is clear.